The U.S. Department of the Interior’s National Park Service has awarded a $69,898 grant to Todd Lookingbill, Department of Geography and the Environment chair and associate professor of biology at the University of Richmond. Lookingbill will use the award to conduct a comprehensive assessment of the natural resources at Fort Monroe National Monument and Harriet Tubman Underground Railroad National Monument, two of the most recent additions to the National Park system, which is celebrating its 100th anniversary. Lookingbill and his team of researchers, which includes UR undergraduate students, will evaluate the current condition of the sites, note any trends in condition, assess human-induced or natural threats and identify data gaps or research needs required for further evaluation. Harriet Tubman Underground Railroad National Monument was established in 2013 to commemorate the life and work of Harriet Tubman. Consisting of 11,750 acres on Maryland’s Eastern Shore, it is a vast expanse of marshes, fields and forests that today remain much the same as when Tubman was alive. Fort Monroe National Monument was established in 2011, after a long military history, including the construction of the largest stone fort in the United States. 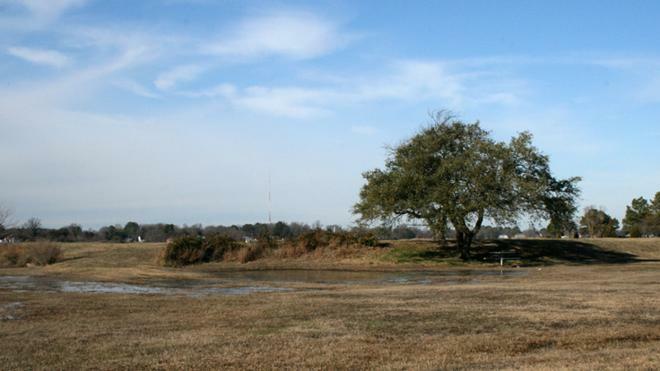 Natural resources within the 325-acre park include the coastal landscape, a 53-acre saltmarsh community separating the point from the main land, and a nearly 500-year old southern live oak. Lookingbill holds a Ph.D. from Duke University’s Nicholas School of the Environment and has taught at Richmond since 2009. He has worked on more than a dozen projects with the National Park Service. His team recently completed similar evaluations for Shenandoah National Park, Colonial National Historical Park and Petersburg National Battlefield. Note: Lookingbill will also work with David Kitchen in the University of Richmond School of Professional & Continuing Studies and Katia Engelhardt at the University of Maryland Center for Environmental Studies, who received a subaward to collaborate on this project.